Eric Wohl is DISH’s Senior Vice President of Human Resources. He leads talent acquisition, benefits, compensation, employee engagement, ethics, human resources technology, leadership & organizational development and business partner teams. A veteran human resources and talent management executive, Eric joined DISH in 2007 as Vice President of Talent Management and later led human resources for DISH’s field operations. These roles allowed him to work closely with every team across the company during his tenure. 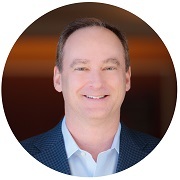 Prior to joining DISH, Eric held a variety of human resources and consulting leadership roles supporting Dell, i2, Andersen and Pepsi-Cola. Eric has been a frequent guest speaker and panelist on the topic of strategic talent management at conferences throughout the country. He serves on the University of Michigan Office of Student Life Employer advisory board and as a founding member of the executive steering committee for DISH Cares, the company’s corporate citizenship program. Eric graduated with honors with a degree in Organizational Behavior from the University of Michigan, Ann Arbor. He enjoys spending time with his family and friends and is an avid tennis, golf, ski and travel fan in his free time.